At Record Nations, we partner with companies who embody positive business philosophies and offer outstanding customer service. We are proud to work with each and every one of our valued partners, and would like to give a special thanks to GRM Document Management for consistently providing the highest quality services to their customers. A valued Record Nations partner since 2009, this October we honor GRM as a perfect example of the type of company we strive to work with. A leader in the records management industry with both a national and growing international presence since the late 1980s, GRM has provided exceptional service to every single customer, and their high customer retention rate is proof of their success. Learn more about how GRM has been able to succeed in the records management industry, and how they have evolved over time to become a solution driven company in 15 major U.S. markets while maintaining their sites on the customer’s needs. How Did They Get into the Records Management Industry? GRM has been in business since 1987, and at that time their only business was document and records management. In the early days, as a natural extension of their growing business, GRM began providing secure storage services for organizations in need of offsite management for their critical records. With retention management being an important component of information governance, GRM began providing document destruction services as well. Since 2008, a key growth engine for GRM has been their enterprise content management (ECM) solution, VisualVault, a private cloud and SaaS-based digital repository that brings a wide range of flexible tools, products, and utilities together in one flexible ECM ecosystem. This electronic business environment drives the efficient, value-added management of digital assets in highly intuitive ways, allowing both structured and unstructured content to be securely and compliantly captured, archived, modified, shared, and leveraged for workflow automation. What is GRM’s Business Philosophy? Since the beginning, GRM’s driving business philosophy has been exceptional service to their customers. The first customer that GRM acquired in 1987 is still a client, and their high customer retention rate is a testament to their focus on superior service and support. 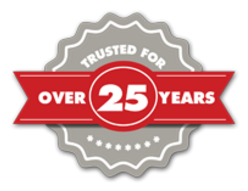 With 29 years of experience, GRM’s success is founded on developing and fulfilling one client relationship at a time. It’s an approach that has earned the company the trust and continued business of more than 6,500 customers—large and small, domestic and multinational—representing a wide range of industries. How Has Their Business Changed Over the Years? GRM’s expertise has always been oriented around records management and information governance, but over the years the types of services they provide have grown to include much more than hard-copy storage and destruction. Their ECM solution, VisualVault, provides clients with the ability to migrate their documents to a digital environment, including the automation of business processes and intelligent eForms. The combined suite of products and services, the GRM Blended Solution, gives their clients total lifecycle management of the critical documents and records. GRM is the records management vendor with the most expansive suite of solutions in the industry, spanning a wide range of technological options. 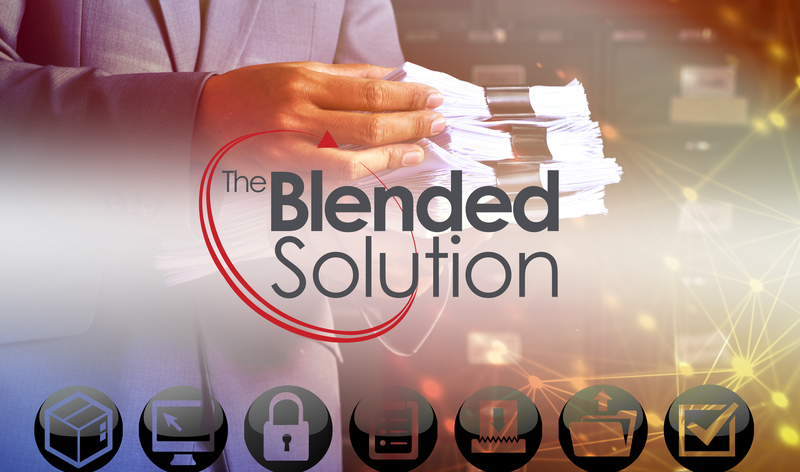 With the Blended Solution, GRM empowers clients to meet their records management objectives faster, greener, and more accurately with both digital and hardcopy solutions. VisualVault allows organizations to quickly access vital information and eliminate labor-intensive paper processes. The submittal of information by employees, constituents, and business partners can be greatly streamlined, along with transaction processing and workflow automation. Efficient categorization and classification of content, facilitating quick and easy retrieval using a wide range of search options. Intelligent document capture and imaging for digitizing and managing paper documents. Document management for check in/check out, version control, security, and library services for documents. Records management for long-term archiving and for automating retention and compliance policies and to ensure legal and regulatory record compliance. GRM’s Blended Solution is the only records management suite that integrates both digital and hard-copy document and records management. It’s a hybrid approach utilizing innovative GRM solutions to ensure a seamless paper-to-digital transition. By maintaining vital paper and digital records while eliminating unnecessary information in both formats, organizations can achieve reductions in costs, quicker and easier accessibility, secure backup, and better overall information control. Their hybrid approach also provides added backup insurance over the vulnerabilities inherent in one format or the other—i.e. paper deterioration or data corruption. Drawing upon its knowledgeable experts and extensive resources, GRM works in partnership with each client to devise a custom, optimal solution. Because virtually all operations and information repositories are interrelated and affect the performance of one another, GRM’s recommendations are based on assessing an organization’s information management needs in total. In this way, services, processes and systems can be implemented that meet each customer’s individual requirements. Need High Quality Records Management Solutions Like Those Offered by GRM? Get Free Quotes Today! At Record Nations we are dedicated to connecting businesses in need of records management solutions to only the best service providers. We have an extensive network of records management companies throughout the nation who provide top-tier services like those provided by GRM. If you need to overhaul your existing records management system, or would like to integrate a hybrid or customized solution to help manage your records, give Record Nations a call at (866) 385-3706 or fill out the form on the right. We will get you FREE quotes from several local, reliable service providers.